More than 600,000 asthma sufferers living in London are at risk of having a serious attack because of the poor care and support offered in the capital, according to campaigners. Asthma travel insurance policies can be taken out by sufferers to give them peace of mind on holiday, however official figures suggest a lack of support on home soil. 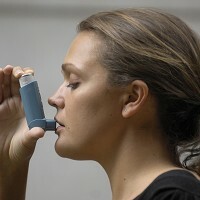 Asthma UK says the support offered to 90% of sufferers from London is not up to scratch. The charity says the proportion is the highest in the country, leaving 663,000 people at risk of a serious attack because they're not being offered an annual check-up or advice on how to use an inhaler properly, which can cut admissions to hospital. The figures show that the basic care offered to all sufferers in Camden, Greenwich, Havering and Islington is substandard. Asthma sufferer Anna Pritchard, 29, whose three-year-old daughter Olivia also has the condition, said she'd to fight to get an appointment with a GP after moving from Shropshire to Twickenham. She told the Evening Standard that even when she'd got one she hadn't been contacted for a follow-up, adding: "It was like my asthma wasn't important enough to warrant wasting their time. "Commuting to work was a total nightmare. I felt like I was suffocating every time I stepped on the Tube and I had to get off at every single stop just to catch my breath." Earlier this year the National Institute for Health and Clinical Excellence (NICE) issued guidelines recommending all sufferers should get a written action plan from their GP or asthma nurse so they know what to do when their symptoms worsen. Health bosses in NHS Tower Hamlets and NHS Waltham Forest have promised to implement the NICE guidelines by 2016. Sufferers without action plans are more than four times likelier to end up in hospital because of an asthma attack.